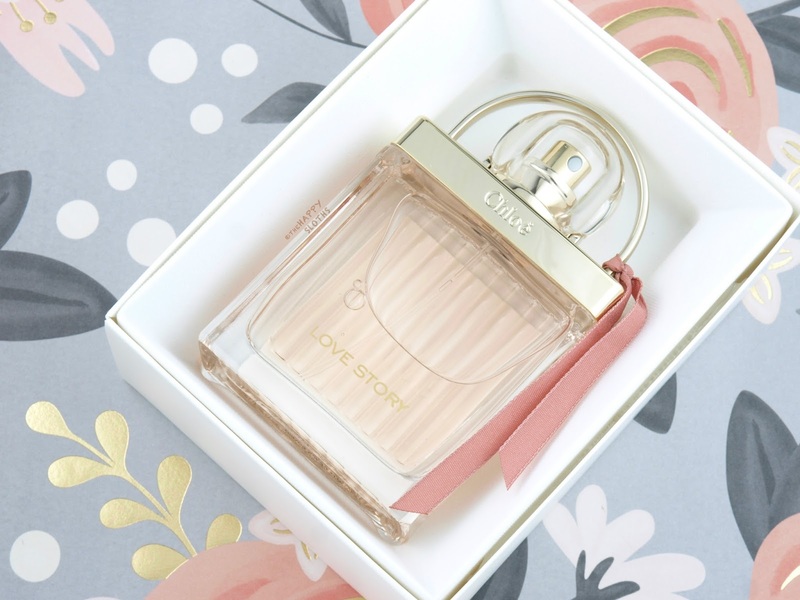 Inspired by the love locks on the Pont Des Arts "love" bridge in Paris, Love Story Eau Sensuelle is housed in a clear glass bottle. The bottle has elegant ridges carved on one side and the top is decorated with a reflective golden frame. There is a movable, curved handle near the clear bulbous cap and the fragrance itself is tinted a light tea rose. The overall design is almost identical to the original Love Story, with the exception of the rose-tinted liquid and the pretty pink ribbon tied around the handle. 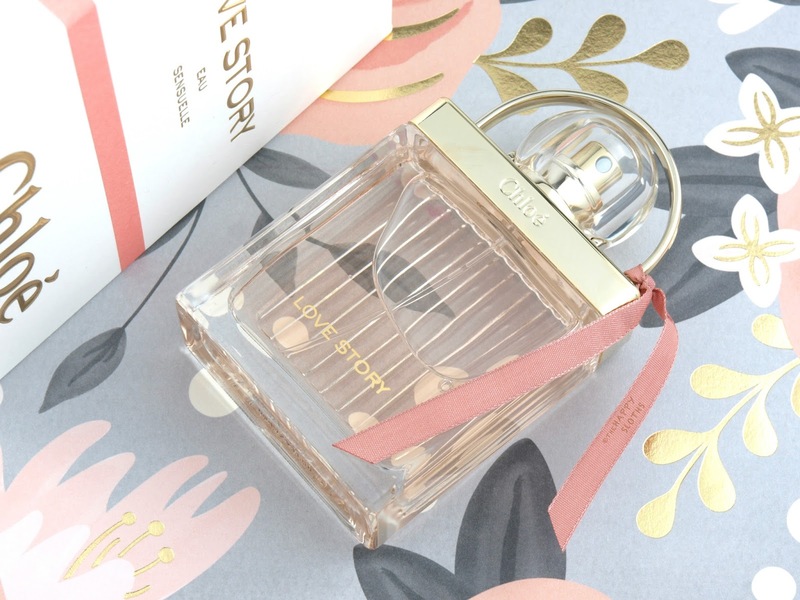 Opening with a fresh citrus fragrance that's sweet but refreshing, Love Story Eau Sensuelle quickly settles into a warm and alluring floral. This to me is very similar to the original Love Story (reviewed here), but the dry down has a soapy quality that smells sweeter and more delicate. Top Notes: Lemon, yuzu, pear, orange blossom. Heart Notes: Passion flower, heliotrope. Base Notes: Cedar, amber, musk, sandalwood. The wear of the fragrance is average, nothing too impressive so this is a scent you will want to re-spray throughout the day. 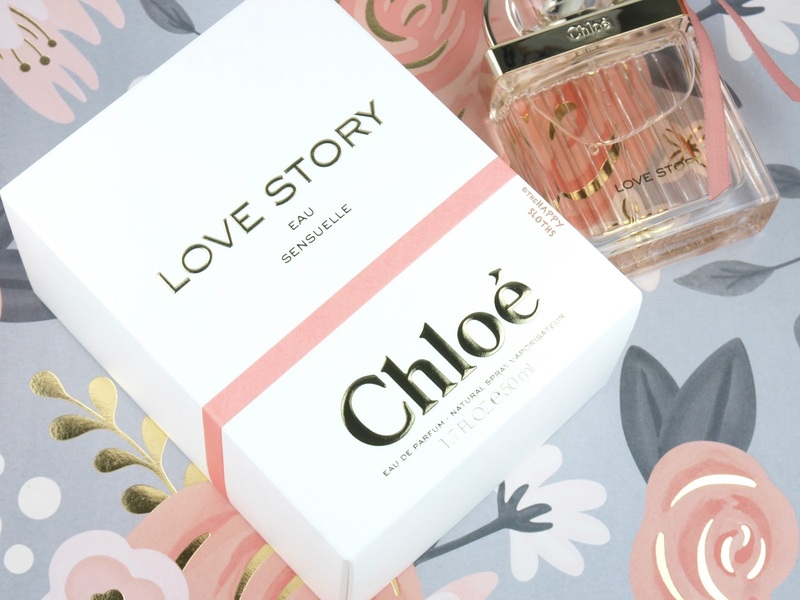 Overall, Love Story Eau Sensuelle is a lovely spin on the original. If you like a feminine floral that's elegant and classic, then this is your pick. With that said, if you already own the original, I don't know if Eau Sensuelle is worth purchasing because the two are similar enough that you really don't need both.